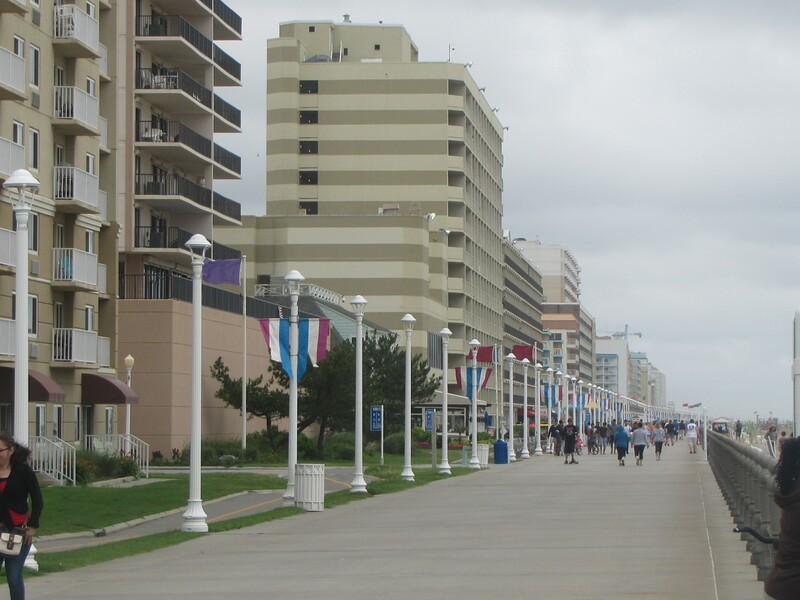 Sometimes the weather conditions can be a little rough for enjoying the boardwalk and beaches at Virginia Beach. 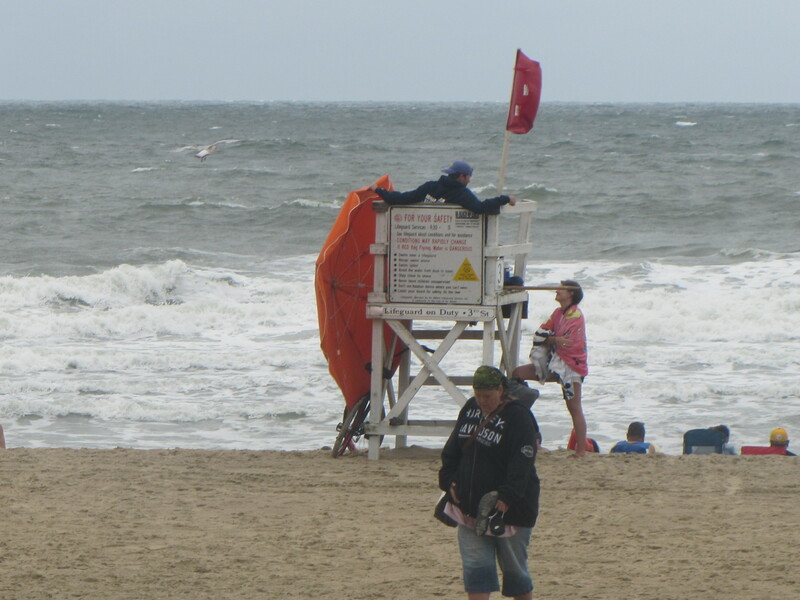 However the city has added features to the beach scene that provide families the opportunity to use the beach even on cool and blustery days. There have been many additions to the beach since our last visit. 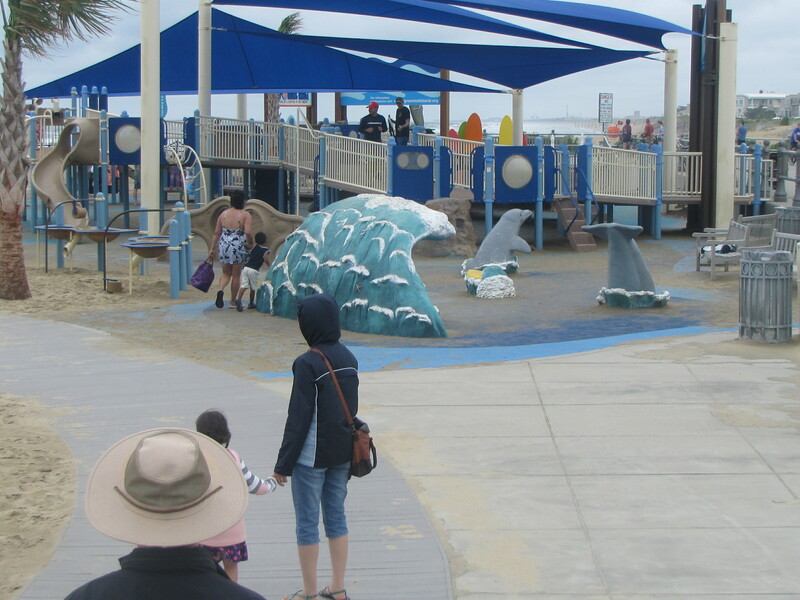 The Grommet Island park and playground has really nice playground equipment with some whimsical features. 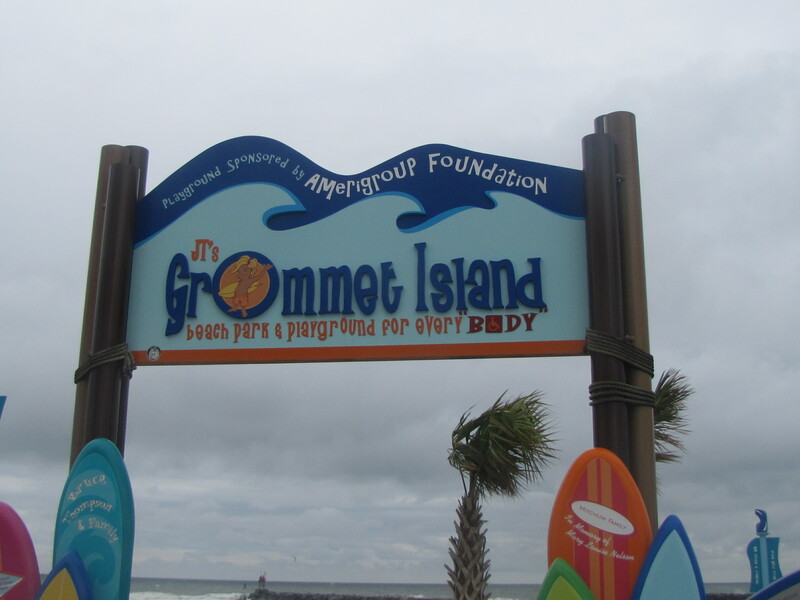 Our granddaughter enjoyed playing in this park when we went to the beach during a recent trip to visit our family.